Technology is playing an unprecedented role in supporting Chennai's disaster management operations, but this learning should not end here. In August 2008, engineers from the Kosi Dam in Bihar sent a fax message to the state government, warning them that the embankment could not hold out longer and that disaster was impending. The fax message went unheeded as the official who was supposed to receive the fax was on leave. Consequently, residents could not be informed that a flood was headed their way. The same floods killed more than 500 people in Bihar and affected approximately 2.3 million others. 7 years down the lane from that horrible disaster, and many such similar calamities later, Chennai is witnessing one of the worst floods to ever hit the capital city of Tamil Nadu. The only differentiator this time around is - Technology. Technology has changed the ways of disaster management and what we are seeing in Chennai is an eaxample of just that. 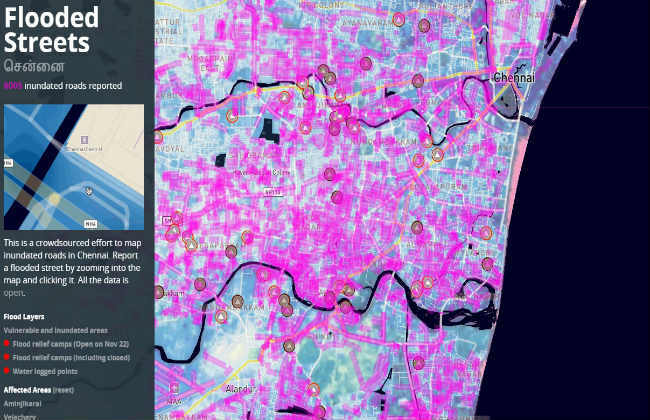 Not only have smart devices become smarter over the years, but the growth in internet reach and accessebility can now be seen as a boon for those who unfortunately find themselves stranded in flooded areas in Chennai. Take social media for instance. Facebook has activated its safety check for residents of Tamil Nadu, so they can mark themselves safe and inform their loved ones of their location. People are using twitter to access emergency services and spread the word about flood affected areas as well as rescue operations. Location services on Whatsapp are being used to pull out those who find themselves stuck in flood-trodden territories, geographical information systems are being used to map inundated roads so that people can find their ways around flooded streets. Google is running a special crisis response page, where one can find compiled information on emergency response numbers, relief centers, flood maps, important tweets and related news. Technology start-ups are also doing their bit by providing taxis that act as ambulances, free food deliveries, home and shelter listings, boat services, free recharges and more. Even non profit organisations like Bhumi are partnering with app based service like Lookup to collect donations for victims from the donor's doorstep. Never has India seen such an unprecedented use of technology to manage a natural calamity or any other disaster for that matter. Innovation in tech and the way we use it, has changed the game and probably helped save many lives in Chennai this time around. Yes, times have changed for the better, but while consumer technology has upped the scale of disaster management, India still lags behind when it comes to preventive analytics tools, smart urban planning and disaster risk assessment systems. From the darkness comes the light, and the floods in Chennai have pointed towards some grave mistakes in city planning and development. 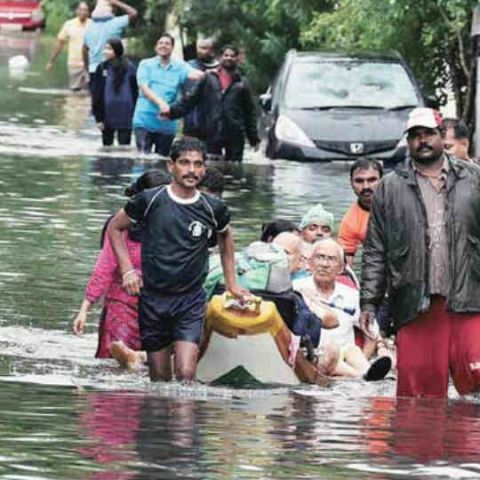 Reports suggest that the reason Chennai is drowning under water is not only because of heavy rains, but because of the never ending construction of buildings in the city which can easily be deemed as a concrete jungle. Geographics information systems have evolved greately in the past. Infact, we have a few exaples of the same in India aswell. The Karnataka State Natural Disaster Monitoring Center uses geo info systems to provide regular weather and natural hazard related updates to communities and authorities. These systems help save time and make the whole process of disaster management more efficient. These tools can even be used to plan smarter cities and help avoid such freak disasters altogether. The problem is that such systems are not adopted on a national scale, leaving some sates and areas in India better prepared while others like Chennai, suffer greatly from the lack of adoption. The realisation, that we have moved forward from conventional channels of disaster management to those that are powered by popular technology, is one that should serve as a great lesson for our country. The real learning here is not just how technology has enabled us to better our response to these situations, but the fact that we need to constantly grow with technology in order to lower the impact of such events in the future.